The FAO Investment Centre provides a wide range of investment support services to developing and transition countries, and demand for those services is “high and continues to grow,” said Investment Centre Director Mohamed Manssouri. 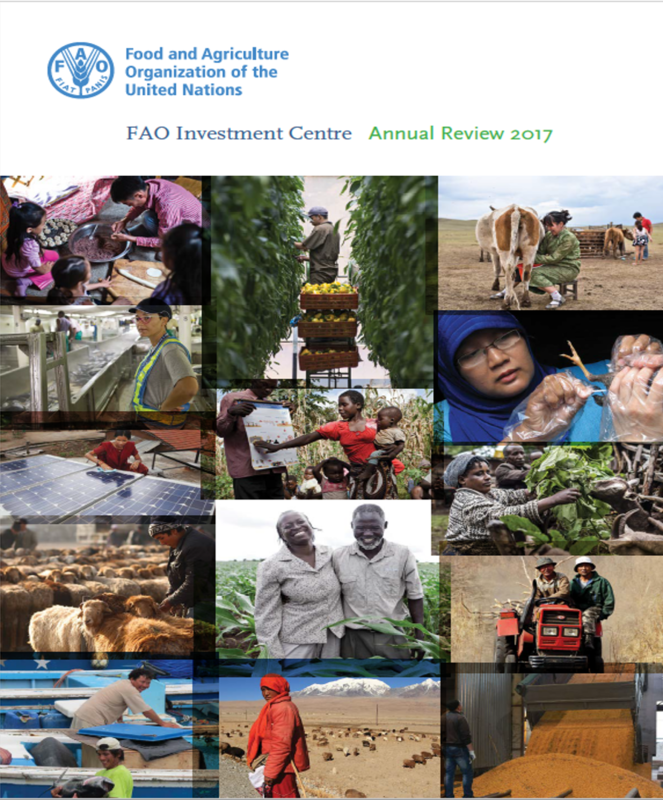 “2017 proved to be a highly productive year: we continued to help design and implement agricultural investment projects, we increasingly linked policy work with investment support to scale up impact, we generated new knowledge and innovations, keeping us at the forefront of the investment field, and we strengthened the capacity of people and institutions to make better investment decisions,” he added. FAO’s investment support is financed through a cost-sharing modality with the IFIs, particularly the World Bank, which contributes the largest share, as well as the International Fund for Agricultural Development and the European Bank for Reconstruction and Development. Partnerships with organizations including the Green Climate Fund, the Caribbean Development Bank and the African Development Bank are also on the rise. “Co-financing the technical support provided to member countries allows FAO to leverage expertise for greater impact, with the Investment Centre being a credible link between FAO’s programme, financing partners and member countries,” said Daniel Gustafson, FAO Deputy Director-General (Programmes). 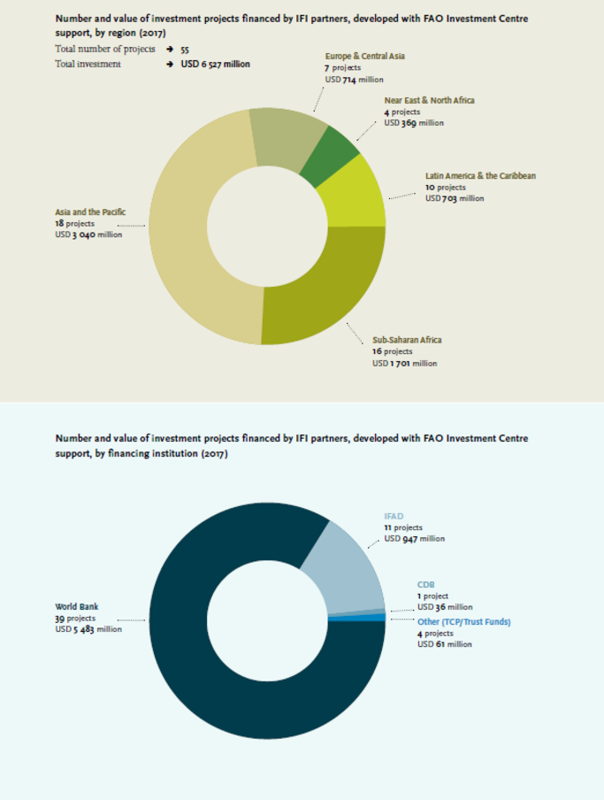 Throughout 2017, the Investment Centre helped mobilize over USD 6.5 billion in investments in 35 countries. 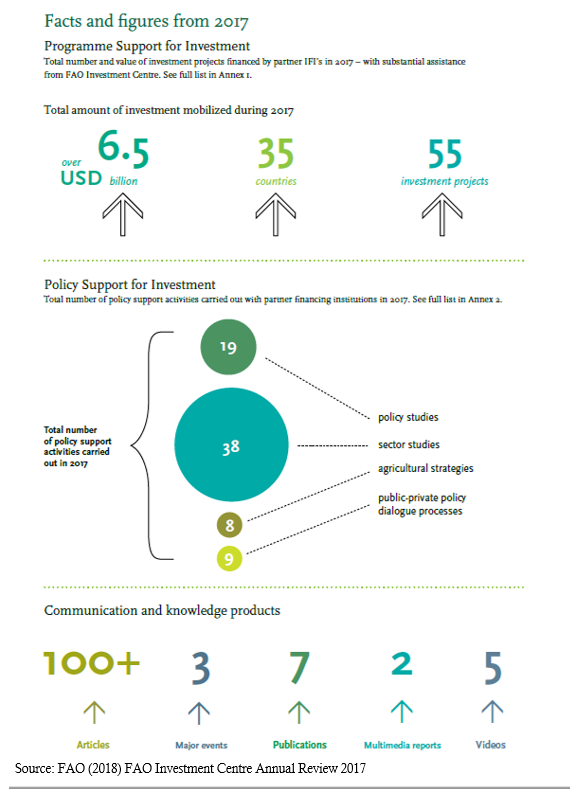 Its policy support work included 8 agricultural strategies, 19 policy-related studies and 38 sector studies. And efforts to foster an enabling policy environment for investment were advanced through eight public-private dialogue processes at country level. “All told, when combining our investment activities – design, appraisal, technical assistance, supervision and evaluation work – we supported 153 investment operations in 68 countries in 2017. That translated to around 800 missions, with about 70 percent of those activities carried out in the sub-Saharan Africa and Asia and Pacific regions,” Manssouri said. Looking ahead to 2018, there are a number of key areas of interest for the Investment Centre in which demand from member countries and IFIs is set to rise. 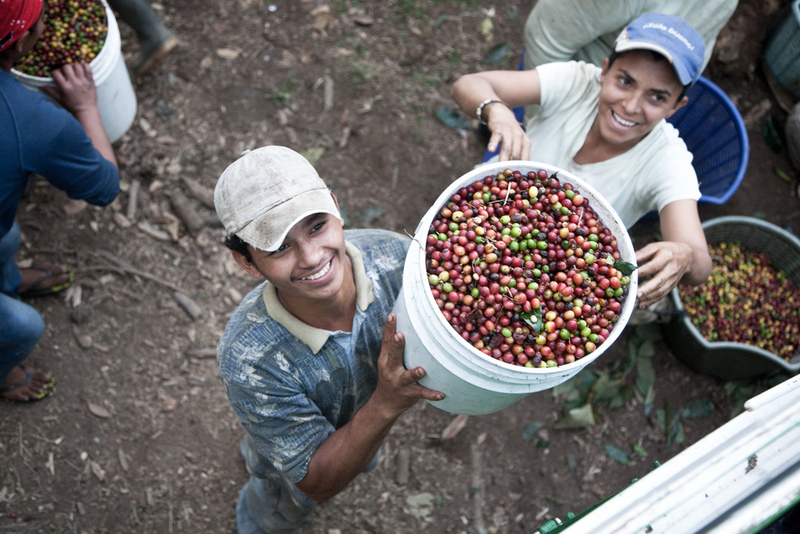 These include improving linkages between policy and investment and crowding-in investment from the private sector – from farmers to corporations. There are also promising investment opportunities in social impact investing and green climate financing for which FAO is ready to bring its experience and technical expertise to bear. The report concludes with an appeal to financiers and member countries to support greater collaboration between public and private sectors and to invest in innovation. Only with such financial support will the international community be able to achieve the Sustainable Development Agenda and end poverty and hunger by 2030. “Ambitious goals require extraordinary efforts and these efforts need to be financed,” Gustafson said.